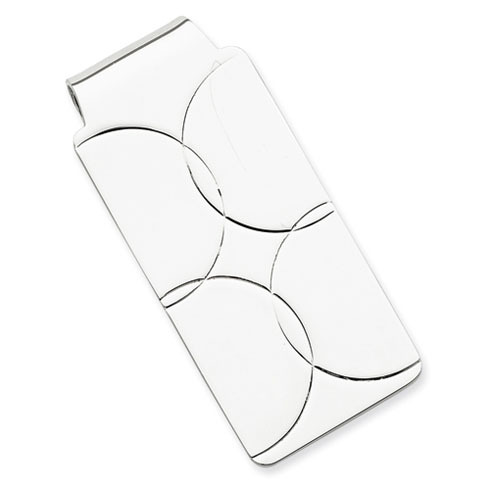 Sterling silver money clip has four overlapping circles and a smooth polished finish. Item measures 2 inches tall by 1 inch wide. Weight: 19.2 grams. Made in the USA.